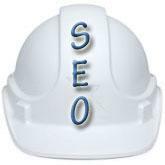 White Hat is one of the types of hat in Search Engine Optimization. White Hat SEO means totally following the ethical methods to get good rankings in search engines (Google, Yahoo & MSN) for a website. If a website truly providing good quality information to visitors then white hat SEO works extremely well and gives the best results in Search Engine. Now you have query that “what are white hat SEO techniques?” All the techniques which are not trying to cheat or visitors or manipulate search engines are called white hat SEO techniques. I wish only a small number of sites like Wikipedia, Google etc... Follows white hat SEO techniques. Grey Hat is one of the types of hat in Search Engine Optimization. Grey Hat SEO means following grouping of ethical and unethical techniques to get good rankings in Search Engines. Most of the Search Engines Optimizations use Grey Hat SEO techniques to get rankings in search Engines. Grey Hat SEO works well most of the moment and most of the professionals recommend it. Grey Hat SEO techniques are not unethical; it contains little stuffing of keywords in the website and backlinks etc. Now-a-days these techniques are fairly common while promoting website. Most of business websites, individual Blogs etc … follows Grey Hat SEO techniques. Black Hat is one of the types of hat in Search Engine Optimization. Black Hat SEO stands to pursue totally unethical which are used to cheat, manipulate search engines as well as visitors. In the past years search engines are not able to identify these techniques and hard to find out and sort the websites which use Black Hat SEO techniques. Search engines are became smarter nowadays and able to find out and blocks websites which use black hat techniques. Search Engine Quality Professional are working hardly and updating regularly the Search Engine algorithms to give the best results to the visitors. This is my first time that i visit here. I found many useful thing in your website especially its discussion. From the tons of feedback on your posts, I guess I’m not the only one receiving all the satisfaction here! keep up a good job. I thought there's only 2. White hat and Black hat. Now I knew this Grey Hat SEO technique. Anyway, thank you for sharing. I've learned a lot from here. I commonly known only white and black hat and its good that I found your blog, I learn more about grey hat. Anyway,you have a very informative blog. Great Blog!! That was amazing. Your thought processing is wonderful. The way you tell the content looks awesome. You are really a master. Great resources you have shared. The write-up is in reality the freshest topic on this associated concern.Thanks for your sharing.